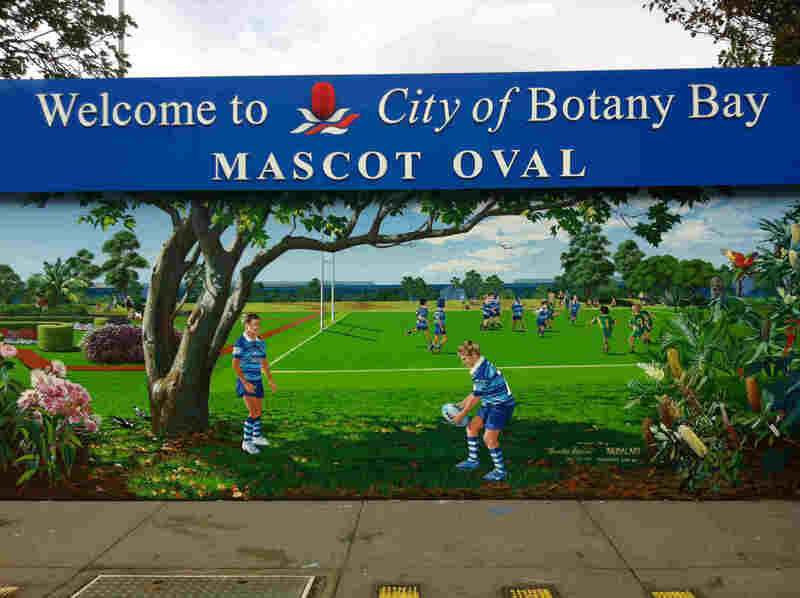 Mascot Oval is a sports field located on the corner of Coward and O’Riordan Street, Mascot. 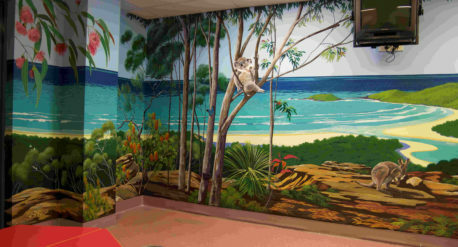 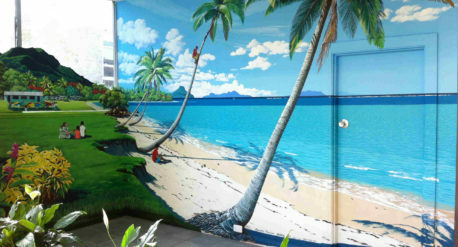 The mural Annette painted was commissioned by Botany Bay Council. 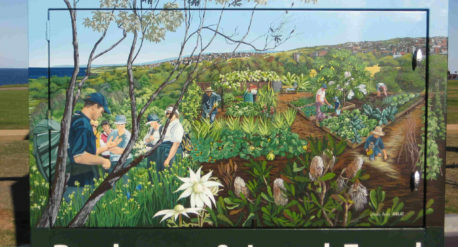 The mural colourfully illustrates the local flora and fauna as well as showing the various activities of locals and features of their city. 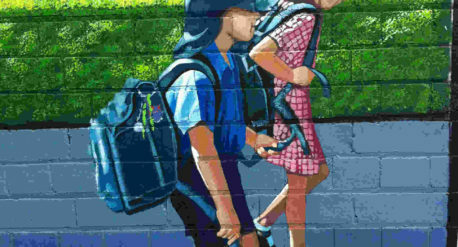 Primarily however the mural celebrates the activities of the sporting ground which is the home of the Mascot Juniors Rugby League Football Club.